My Flatbush Life: Rabbi Dr. Raymond Harari, Rosh Yeshivah, visits our students studying in Israel for the year! 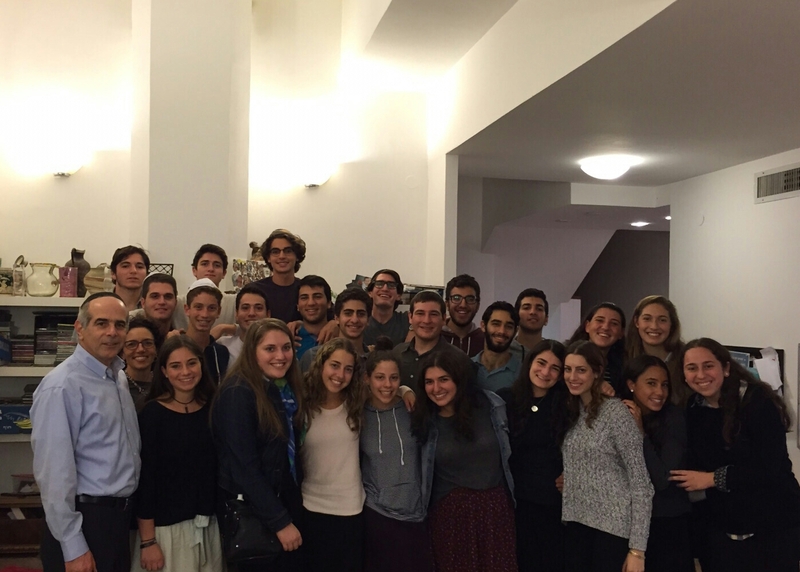 Rabbi Dr. Raymond Harari, Rosh Yeshivah, visits our students studying in Israel for the year! Rabbi Dr. Raymond Harari, Yeshivah of Flatbush Joel Braverman High School Head of School visited our alumni studying in Israel. Our alumni who have been learning in Israel for almost two months met up at the home of Dr. Rochelle Dweck, former faculty member and Yeshivah of Flatbush Israel liaison for this special meeting. The group had a chance to reconnect and share great stories of their yeshivas, Shabbatot, and classes over snacks and soda. Rabbi Harari wrapped up the "reunion" with an inspirational Dvar Torah and a promise of more reunions to come. We wish all of our alumni studying and living in Israel a wonderful and peaceful year.